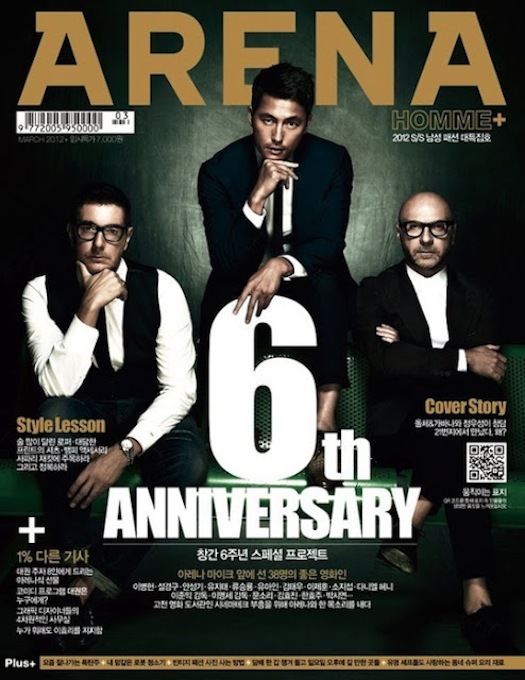 Arena Homme + celebrates it's 6th birthday with a star studded issue which also commemorates the 10th anniversary of Cinematheque, a non-profit which aims to promote artistic and educational cinema to the public. 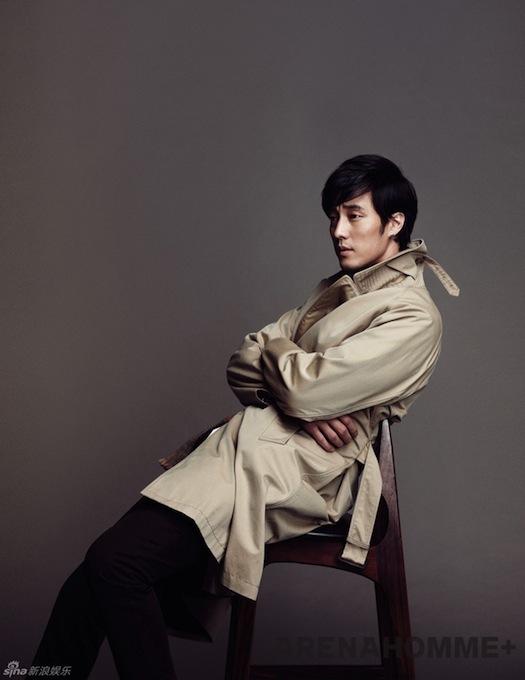 A special 52 page spread featuring 38 actors, actresses, directors and other film industry professionals in South Korean cinema is included in the March edition with all proceeds going to benefit Cinematheque. 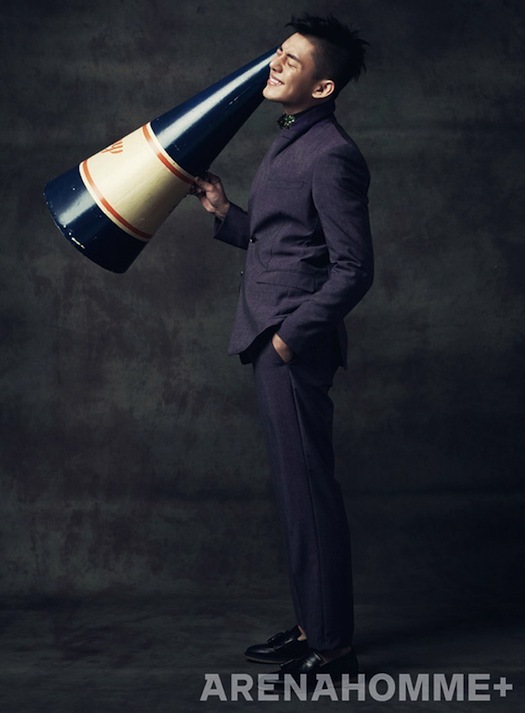 Cover boy Jung Woo Sung poses with designers Dolce & Gabbana. This is a selection of the photos I liked. wow those men are so hot!!! 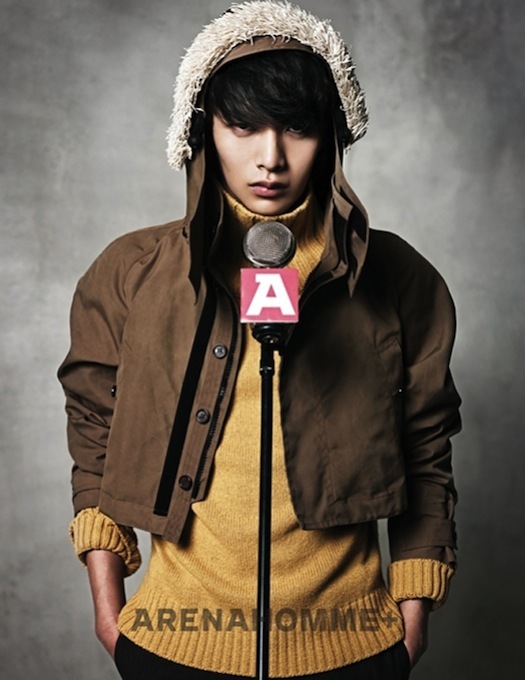 i love the pictures!!!! i'm glad to be back dear! can't wait to see more post from you! Yay for some Monday morning eye candy! 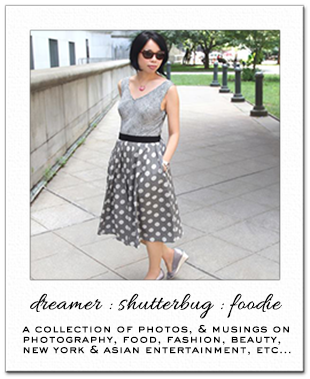 :-) Thanks for featuring! love the cover and the last picture. They look so yummy :) I need to check out this issue. I took a class on Korean cinema back in the day. That green dress is gorgeous against the olive complexion and I like the colors on the sweater below it. Rich and chic looking! Thanks for stopping by today and leaving the wonderful comment! Oh so chic! These photos are beautiful. Oh gosh! Daniel and Han! Mmm Mmm Mmm LOL Thanks for making my Monday Rowena! I can always use a little eye candy -- especially on a Monday morning. Classy and gorgeous, what more can I ask for? Great selection, as always! Gorgeous editorial filed with gorgeous people! Love your blog and I'm your newest follower..
anyway thanks for stopping by at my blog.. I LOVE that green dress! I love the feel of these photos. Gorgeous people and gorgeous clothes! Hi lovely, these photos are beautiful!!! This is an awesome spread! I know nothing about Asian magazines so this is where I always get my fix! Gorgeous! And of course I love her Burberry platform sandals! I love your eye candy spreads, this magazine is awesome! Beautiful pictures!! Thanks for sharing them. A gorgeous feature...love these images!! Love Han Hyo Joo outfit. Her shoes I want...Thanks for sharing! =) what a great post! I love the green dress. I so want! I love these photos, they are so great. Beautiful outfits. 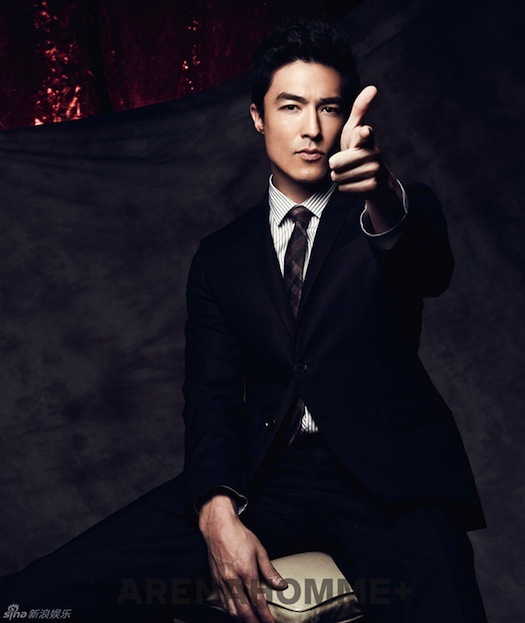 Daniel Henney is always very elegant. The green dress is perfect.